Shure, a leading manufacturer of microphones and audio electronics, has demonstrated its interoperability with products from Polycom, Inc., the global leader in open standards-based unified communications and collaboration (UC&C). As part of Shure’s strategic focus on providing innovative solutions in the A/V Conferencing and Integration market, the Company is excited to partner with Polycom, a leader in the UC&C space. Shure is working with Polycom SoundStructure, HDX, Group Series, and Vortex Solutions to connect wireless microphones to Polycom audio and video conferencing equipment. Because Shure has satisfied Polycom’s extensive interoperability requirements, it can brand Microflex Wireless as Polycom Ready. Polycom Ready solutions, including end-user devices, network devices, and software applications, are tested for interoperability with Polycom products and applications. When customers see solutions bearing the Polycom Ready badge, they know they’ve been proven to work with the world’s leading open standards-based UC&C platform. 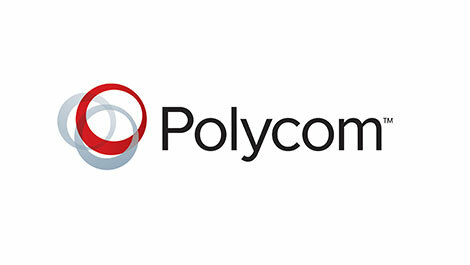 Polycom Technology Partners are committed to teaming with Polycom to improve the customer experience by adding unique value to Polycom solutions and solving customer business challenges. The Polycom Technology Partner Program is comprised of Polycom Foundation Technology Partners and Polycom Premier Technology Partners. Premier Technology Partners have invested in a deeper relationship with Polycom and commit to an ongoing partnership, spanning activities such as business planning, development, additional testing of solutions, and joint go-to-market activities. As a Premier Polycom Technology Partner, Shure collaborates with Polycom to develop unique, customer-focused solutions that collectively broaden the portfolio offerings of Shure, Polycom, and the nearly 7,000 members of the Polycom Partner Network. Along with Shure, Polycom Partner Network members enhance and extend Polycom's open, standards-based video collaboration solutions and together deliver the most complete UC&C solutions available to more than 415,000 Polycom customers. Through the Polycom Partner Network, technology providers, ISVs, solution advisors, integrators, service providers, and other valued partners can easily address the multifaceted needs of today’s organizations that are using face-to-face video collaboration to improve productivity, engagement, time-to-market, and business continuity as well as for unique applications across various vertical industries.